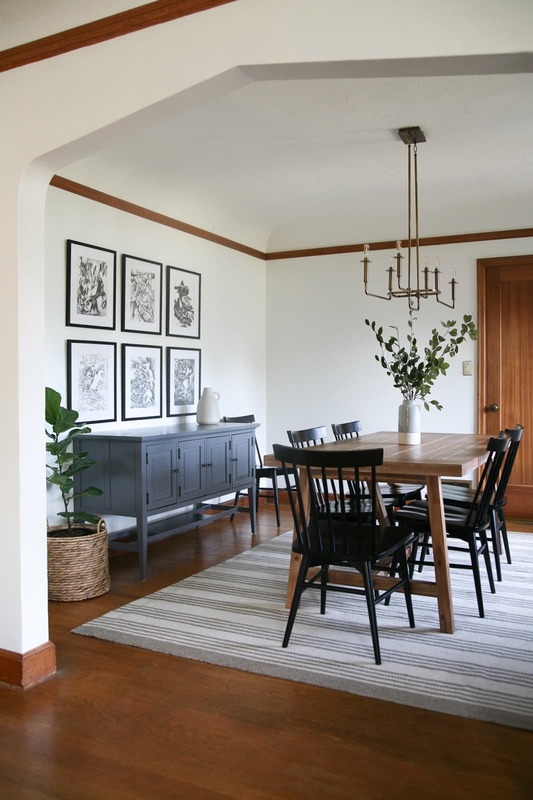 Suzannah transformed her dated, Tudor dining room into a modern traditional dining room that you have to hear about and see! She kept the original woodwork and just updated the space with new art, a table, rug and electrical. One of the first rooms that Suzannah completed in her house is her formal dining room. When she moved in, it had aqua walls and dated electrical. Other than that, it wasn’t horrible; YET it needed lots of love. 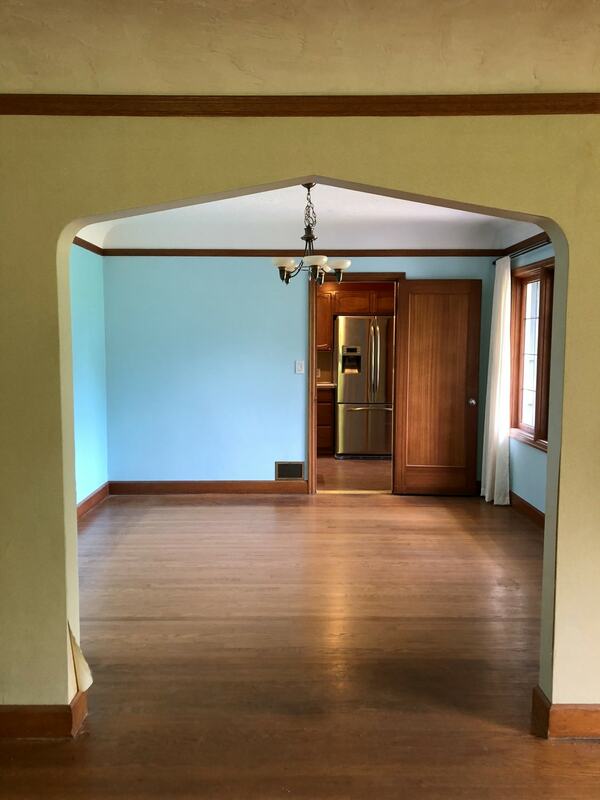 See more of what her Tudor Revival home dining room looked like the day she bought it, over on her blog. She had saved a lot of dining room inspiration images on her dining room Pinterest board, which started the whole design process. Specifically, this pin and this pin which were the main inspirational images for the black windsor chairs and farmhouse table. Once she had her starting off point, she started adding more character. She put up the gallery wall of charcoal pencil drawings which were done by her husband’s grandfather. How cool is that? If you haven’t seen the full reveal, make sure to pop over and see the Dining Room Reveal with all the links, sources and other details.